If you’re looking for a fun and off the beaten track day trip from Amsterdam during your visit to The Netherlands, why not visit Zwolle? It’s only an hour from Amsterdam and Zwolle is simply beautiful. The medieval city is easily discovered by foot and has countless beautiful squares, quaint streets, fun shopping opportunities. Bonus: Zwolle is home the most excellent restaurant in The Netherlands: Librije. And this high standard rubs off on other eateries in town. 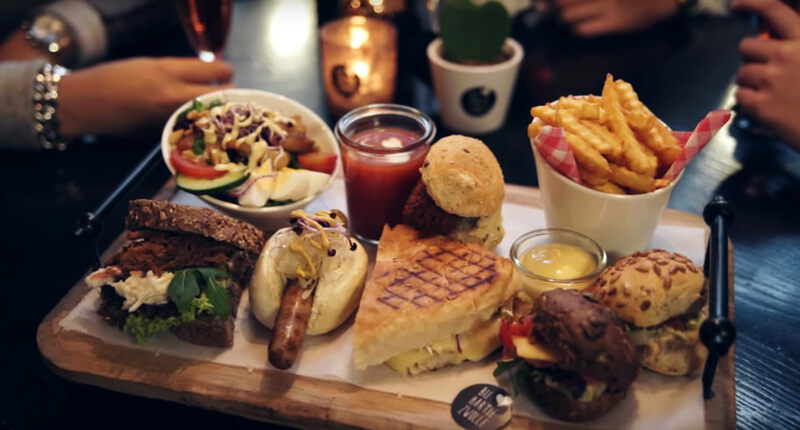 Zwolle is a great place for foodies. 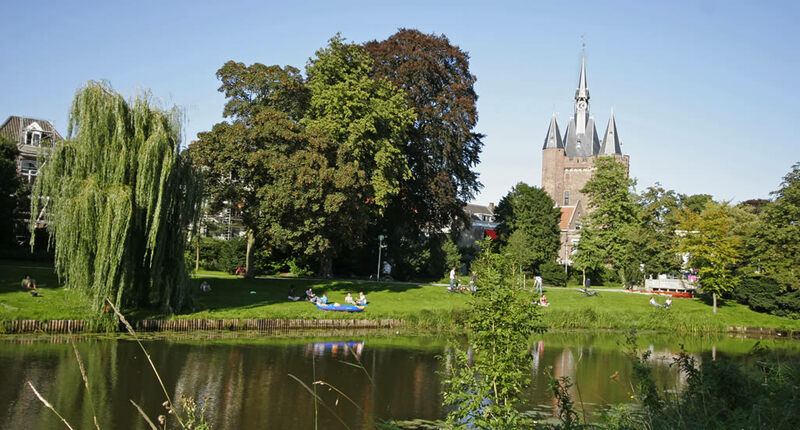 Here’s how you spend a perfect day in Zwolle. In the Middle Ages Zwolle, in the east of The Netherlands, was a city of great importance. 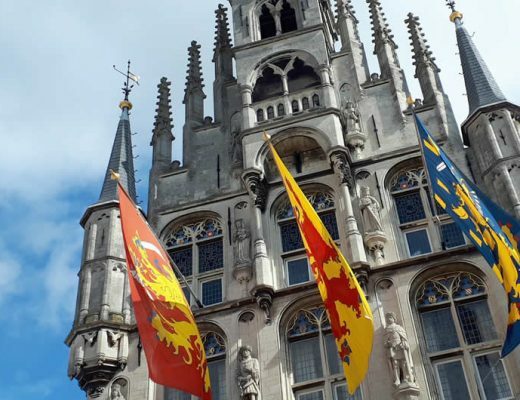 Its affiliation with the Hanseatic League meant the city was an important trading port along the IJssel river from the 11th to the 15th century. 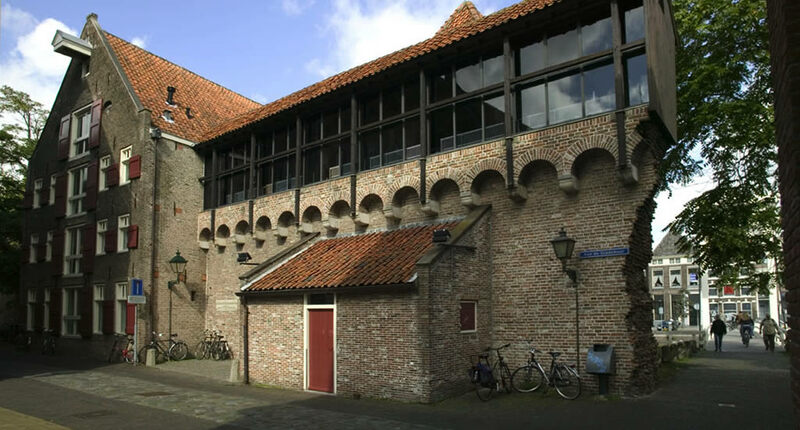 You can tell Zwolle was part of the Hanseatic League since the city is walled with a historical star-shaped fortification, which is iconic for Hansa Towns, with a wide moat surrounding it. Inside is a cosy and sprawling city centre. Even though Zwolle is not very large and easily explored in a day (or two), it’s sure isn’t short of beautiful historical monuments, churches and colourful streets and squares. Zwolle has two iconic landmarks. One being the 75-meter high tower of the Basilica of our Lady, nicknamed Peperbus (Pepper Mill Tower) and standing proud since the 14th century. You can climb the tower for a nice view over the city and to see the star-shaped fortification around the city centre. 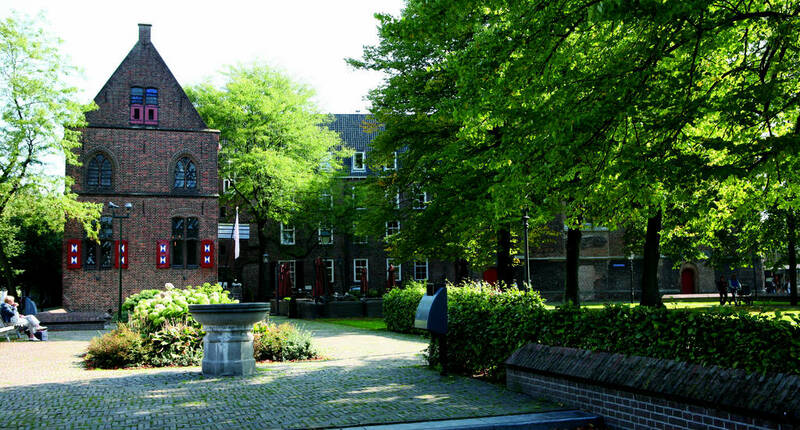 The other is the 600-year old Sassenpoort, the last remaining Medival city gate. It stands guard on the corner of Sassenstraat and Wilhelminasingel. Before going for lunch, hop into Museum de Fundatie, one of The Netherlands’ most cutting-edge museums, housed in an old courthouse with a surreal addition connected to the rooftop, which looks a little like a glistening cloud. The museum hosts contemporary exhibitions year-round. 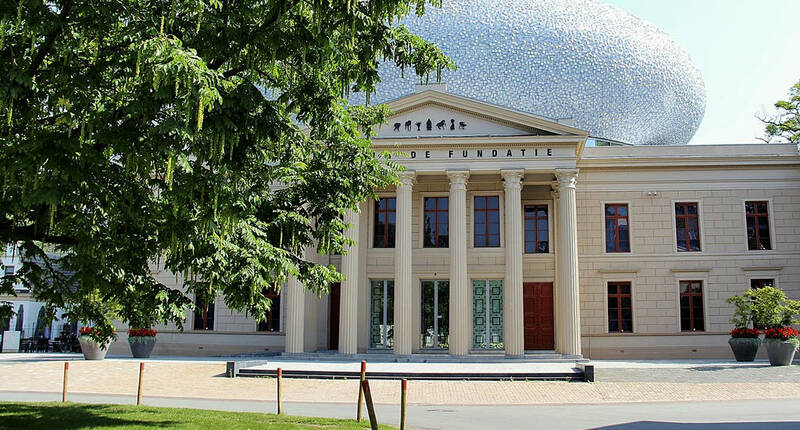 All that art walking and art watching has probably left you hungry and from Museum de Fundatie it’s only a short stroll to Villa Suikerberg for a nice lunch. I especially recommend this place when the weather is nice, as the outdoor seating, with views over the city moat, is delightful. 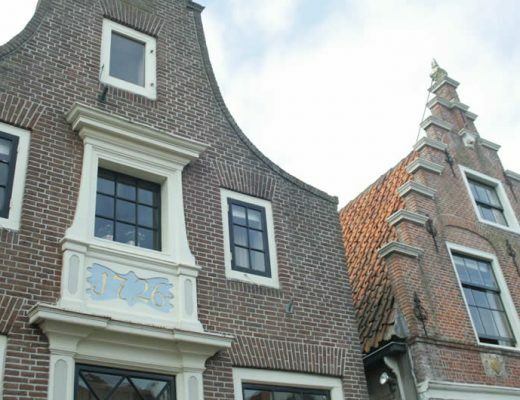 A very lovely option in the heart of town is In Den Hoofdwacht, set in a historical police station dating back to 1614. 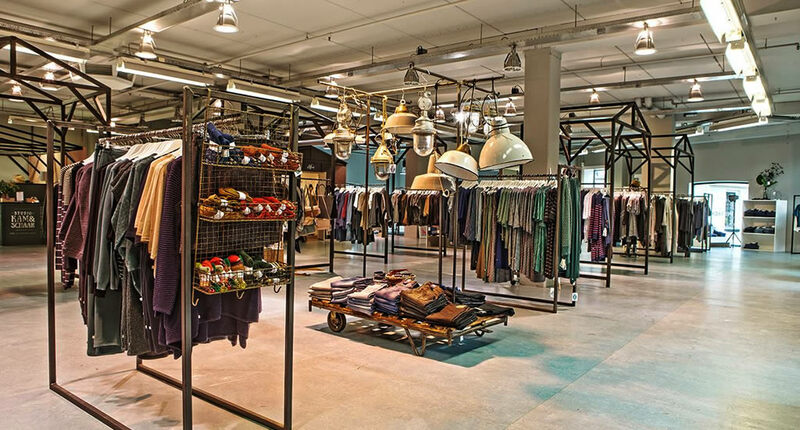 After lunch, the city centre of Zwolle offers enough opportunities to do some excellent shopping. 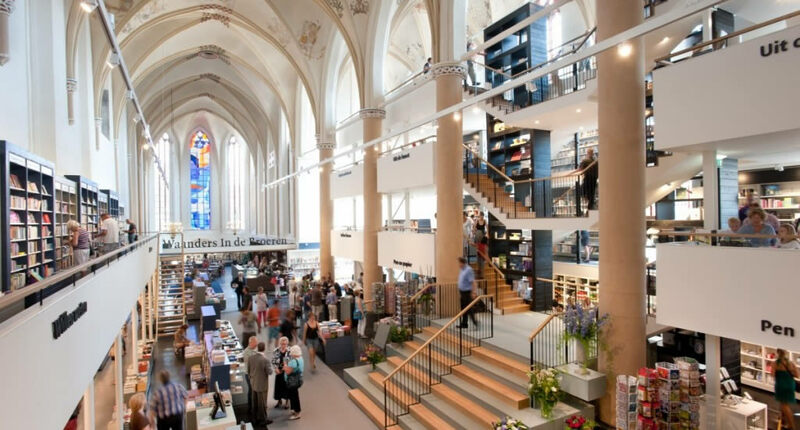 First, set foot to one of the most beautiful bookstores in The Netherlands: Waanders, which is located in the old Broeren Church. But trust me, it isn’t stuffy or dar inside. The old church is remarkably bright and light, with the immense organ in the back still watching over you. The bookstore is set up on 4 floors and the café is pretty good for a cup of coffee. The Netherlands don’t have that many 3-star Michel restaurants, but Zwolle has one: Librije. The restaurant is absolutely magnificent and set in a gorgeous historical building. You will have to make a reservation well ahead if you’d like to book a table. But if you can’t get in, don’t worry. A stone’s throw away is Librije’s food store for some serious gourmet food shopping. But, there are so many other great restaurants in Zwolle. You will be spoilt for choice. De Buik van Parijs is like walking into a French bistro, with an equally great French-inspired menu. Bij Hartje Zwolle you can order some amazing finger food, like small hamburgers, hotdogs and salads. How to get to Zwolle? By train, it’s only an hour to get from Amsterdam to Zwolle. You will need an OV Chip Card, which you can charge as you go, to travel on all public transport in The Netherlands. Check out the online timetable to plan your trip. 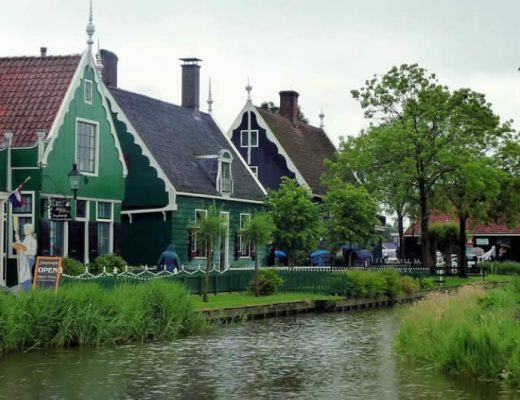 If you’d like to spend a day in Zwolle, or maybe even spend the night and visit the beautiful ‘Venice of Holland’ Giethoorn, check out my complete city guide Zwolle to plan your trip. If you’d like to see more in the east of The Netherlands, also visit Deventer which is only 20 minutes by train from Zwolle. Ooh what a charming town! I love how that old wall is partially still destroyed, just hanging out like that! And the culinary delights of the city definitely look appealing! Pinned! Happy New Year! 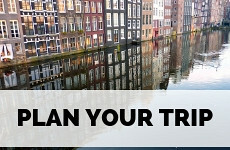 Oh, if you’re looking for places outside of Amsterdam to visit, I guess my website is just for you! I hope you’ll get lots of inspiration. What a gorgeous place! I’m sure for the people living here in the Middle Ages, it was devastating when the city lost its power and prestige but from my current point of view, it’s wonderful to find a city that still has its medieval charm so well preserved – and plenty of other temptations as well. I can very easily imagine spending a weekend here – thank you for introducing me to Zwolle. I actually spent a weekend in Zwolle (doesn’t matter if it’s only 1 hours from Utrecht, where I live) and really loved it. I highly recommend it. 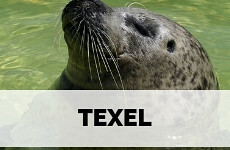 Ik leerde Zwolle een paar jaar geleden kennen omdat mijn hond uit dat prachtige stadje komt. Als we nog eens op bezoek gaan, heb ik weer heel wat tips bij! Bedankt! 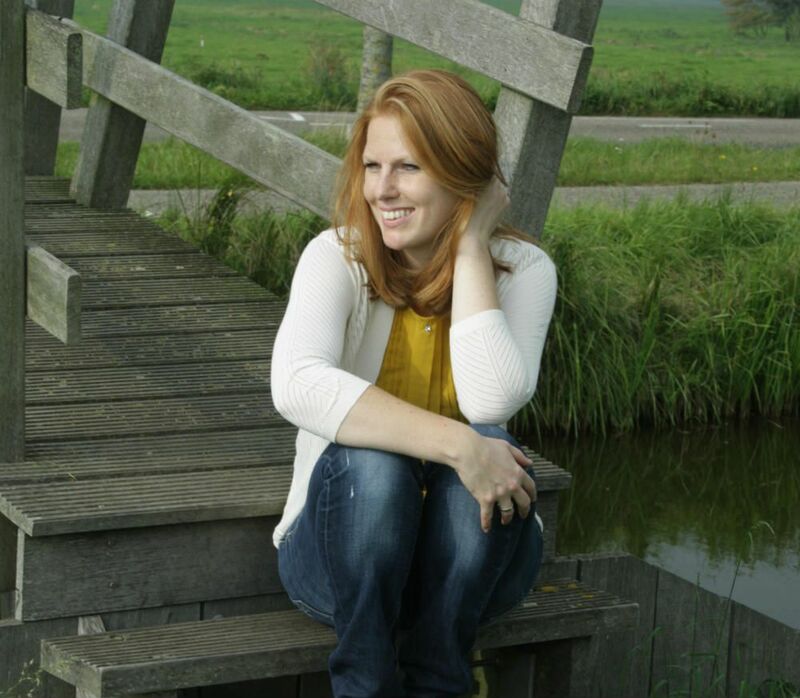 I could very happily while away a day in beautiful Zwolle. I’d certainly spend a lot of time in that gorgeous looking bookshop. Lovely. 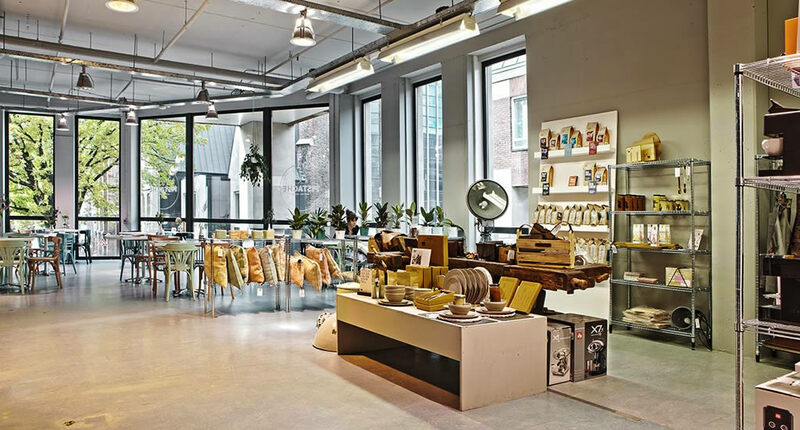 So much on offer, and so close to Amsterdam too. 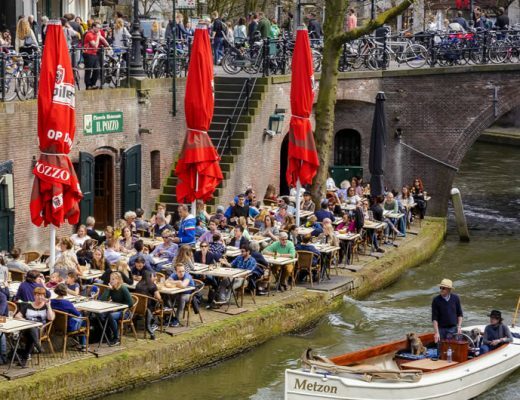 My husband wants to take the kids over to the Netherlands, flying direct to Amsterdam and exploring from there. Zwolle could be a good start. What a lovely looking town! Looks like the perfect place to walk around and unwind. Oh to be in the Netherlands! Envious! 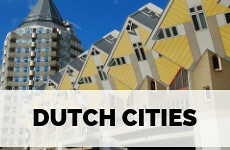 The city looks really charming, I can totally see myself spending some time there next I go to the Netherlands. 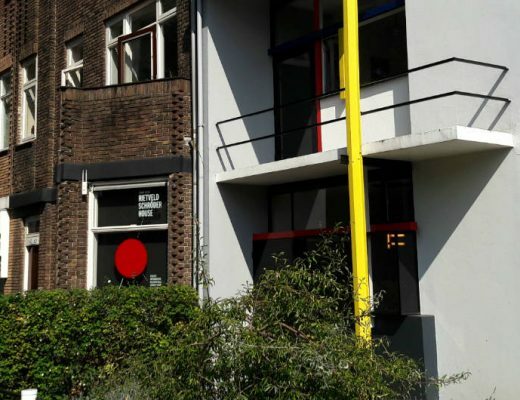 I enjoyed reading this post about Zwolle and learning a bit more about its history. Your photos are lovely and capture the essence of indoor and outdoor spaces. I often prefer these small towns over their big city cousins. Sold! I’ve found that I prefer the smaller, out of the way towns on my travels to the large cities so I’m sure that Zwolle would be a favorite. I really don’t mind smaller cities myself, they’re so easy to explore: what you see is what you get. Netherlands seems to have so many lovely little towns like Zwolle. I should make a note of it, especially since it’s so close to Amsterdam. It can make a great day trip. I will let you in on a little secret Anda: everything in The Netherlands is really close to Amsterdam. So there is no reason why you shouldn’t go and explore more of the country. Trains run everywhere basically! What a beautiful town! I have never even heard of it before, but now I want to go visit it! 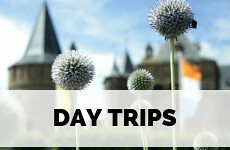 We are planning a trip to the Netherlands for this summer, I’ll have to add it to our itinerary. Oh, summer in The Netherlands is wonderful! I hope you get to explore the country a little. How fantastic! It looks like it has gorgeous scenery. 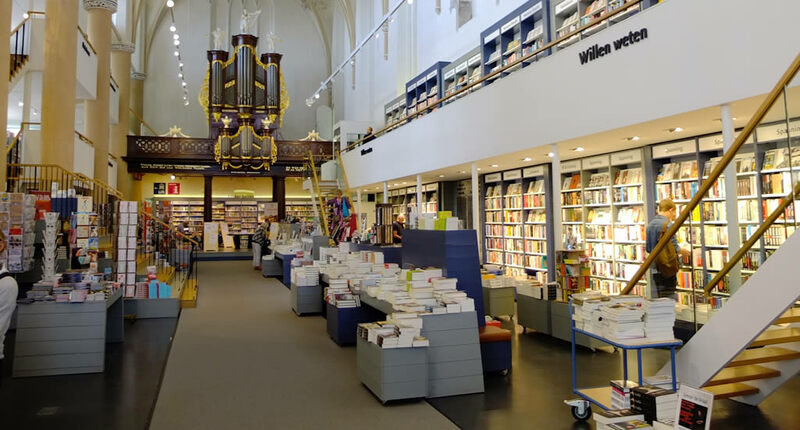 That is an amazing looking bookstore. I visit there just to see the books. Zwolle looks amazing. I’ve always wanted to go to Amsterdam but had not heard of this town. Thank you for sharing! Wow! Zwolle seems like an exceptional travel destination, Esther. Thanks for the recommendation. Is a day trip enough to explore this cute town? If you only visit Zwolle, I guess one day is enough. 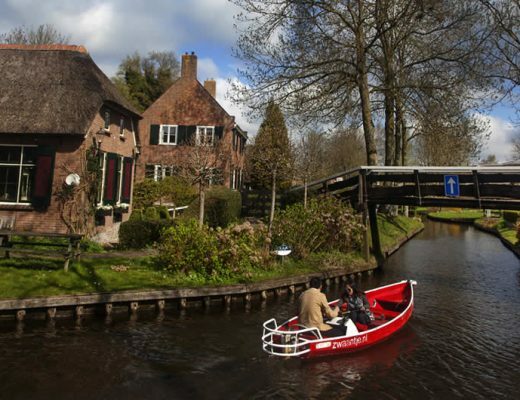 But if you stay the night you can explore beautiful Giethoorn too, or visit nearby Deventer. I love side trips! in fact, when I was in A-dam I was debating whether to go Zaanse Schans and were not super crazy about it, although on another day we loved our day trip to Zandvoort. Zwolle sounds nice for next time!